"Just gambling a bit," Mayweather Tweeted not 10 minutes ago. 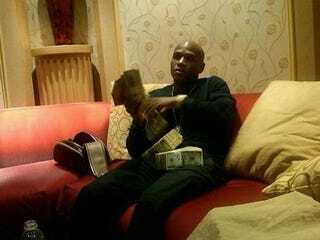 I'm not saying anyone should rob Floyd Mayweather. I'm just saying, now's probably a pretty good time to do it.